A friend informed me that today is National Lighthouse Day. 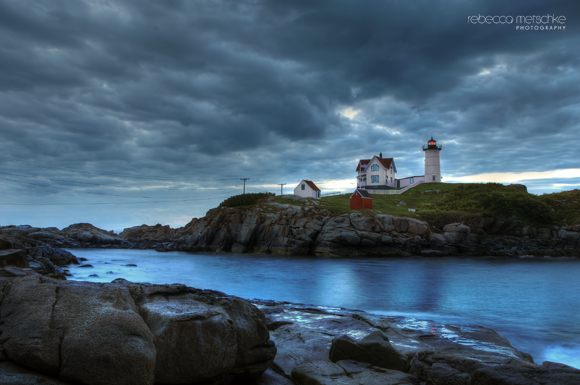 I’ve been spending a fair amount of time at Nubble Light at Cape Neddick, Maine this year looking for interesting skies at the edges of the day. On the morning pictured below, I thought the clouds were going to light up with color – but there wasn’t even a hint of it. Still, the moody sky had its own kind of beauty.